Chatbot usage has increased over a period and now, you can see them in use in almost every social media platform be it Facebook, Telegram, Hangouts, Slack, or your website. Building a powerful Client Retention Management (CRM) takes a lot of time and effort. Chatbot helps you to scale up your business cycle and also manages the CRM routine like a professional. As AI powers it, it comprehends the language unmistakably and replies the opposite person just as if a real person is talking to you and easily collects all the data you need from your future or existing customers. Before jumping to the frameworks, let’s check out some of the benefits of having chatbot for your business. We know how frustrating it is to wait until our queries are addressed, and that is the reason most of our work is delayed which leads to a loss of interest in a customer. Chatbots can connect with the backend services and provide the requested information through live chats which are easily accessible anytime, day or night. The advantage of using a bot to cater your customers helps build effective surveys, data collection within minutes besides making a strong brand image in the market. Also, your entire process is structured automatically. A Chatbot can personalize the user experience even while catering to multiple requests on your website. This helps boost your CRM routine. Also, if you add keywords in your data, the Chatbot smartly organizes the data as per the demand of keywords by the customers. Also, it takes care of building the right experience through voice notes, text, UX and provides exactly what a client is looking for on your website. So, a customer doesn’t have to spend much time surfing around here and there as the information is available on his fingertips right within the chat window. It is a tedious task for a human being to chat with customers all day, probably providing the same data to everyone. Having a support team enable the recurring costs. On the contrary, a Chatbot is a one-time investment which helps you save your monthly costs, and the tasks are handled more effectively which excites the user experience. You can integrate reporting and analytics services to get an overview of usage and how it is helping business to grow. The entire process of creating a Chatbot saves a lot of time of your company employees and enables them to work efficiently on other essential tasks. All of this also means better customer service. It helps you stay on the top of the game with easy management and happy user experience. Now that you know the benefits of chatbots let’s explore the frameworks that help you design and develop your bot. Please note the following are development framework and not the platform. Microsoft Bot Framework platform helps you to build, connect, publish and manage chatbots which are smart and interactive to give the best user experience. It comes with active learning. 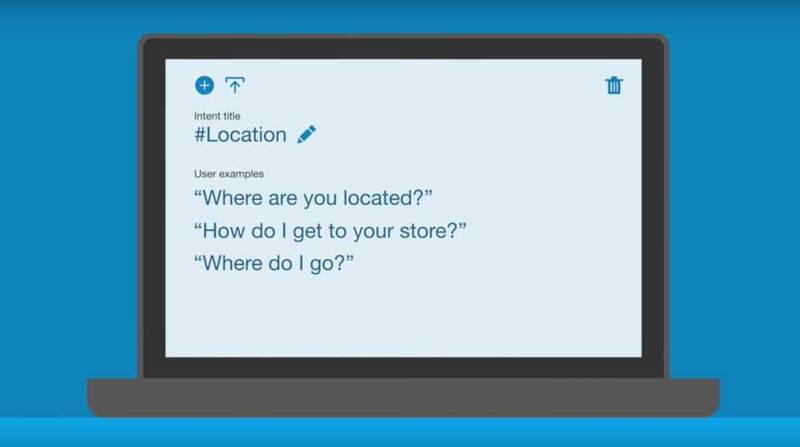 You can use pre-existing, pre-built models to interact with your users on the following. You can integrate your bot with Microsoft Cognitive Services to solve a real business problem. Microsoft Bot Framework let you turn your ideas into a reality. Not just bots but with the help of Wit.ai, you can create automation for wearable devices, voice interface for a mobile application, home electronics hardware. Wit is free, and the following SDK is available. You can also use as HTTP API. Built text or voice-based conversational interfaces for your bots and application. Dialogflow is powered by Google’s machine learning which can be used to connect to users on Google Assistant, Amazon Alexa, Mobile apps, Messenger, websites, slack, Twitter and more. It runs on the Google Cloud Platform and ready to scale to serve hundreds of million users. You can use Node.js SDK for the fulfillment and the following to detect intent and agent API. Dialogflow is user-friendly, support 20+ languages and probably the best framework to develop NLP based applications. IBM Watson is built on a neutral network of one billion Wikipedia words and is apt in communicating with the bot users. It uses machine learning to respond to natural language input on platforms like mobile devices, websites, robots, and messaging applications. Watson Assistant helps you to build a chatbot for your business quickly. You can get it started in FREE with 10,000 API calls every month. There are few sample bot codes available for retail and banking. It is widely an artificial intelligence as a service AIaaS platform. Pandorabots uses the Artificial intelligence markup language and also includes The Artificial Linguistic Internet Computer Entity ( A.L.I.C.E) which is a natural language processing chatbot. It has recently added a new feature wherein you can visualize your AIML. The integration of chatterbot is possible on websites, various applications and messaging platforms, Cortana, etc. The following SDKs are available. With the help of Botpress, you can build your chatbot locally and deploy to your favorite cloud hosting. It is one of the leading bot developer tools. Botkit.ai helps you build your bot with the help of visual conversation builder and allows you to add plugins as per your needs. It works on natural language processing engine from LUIS.ai plus includes open source libraries. You can get it started Node.js. There are more than 10,000 bots developed and in use with the help of Botkit. It works and integrates with the following platform. 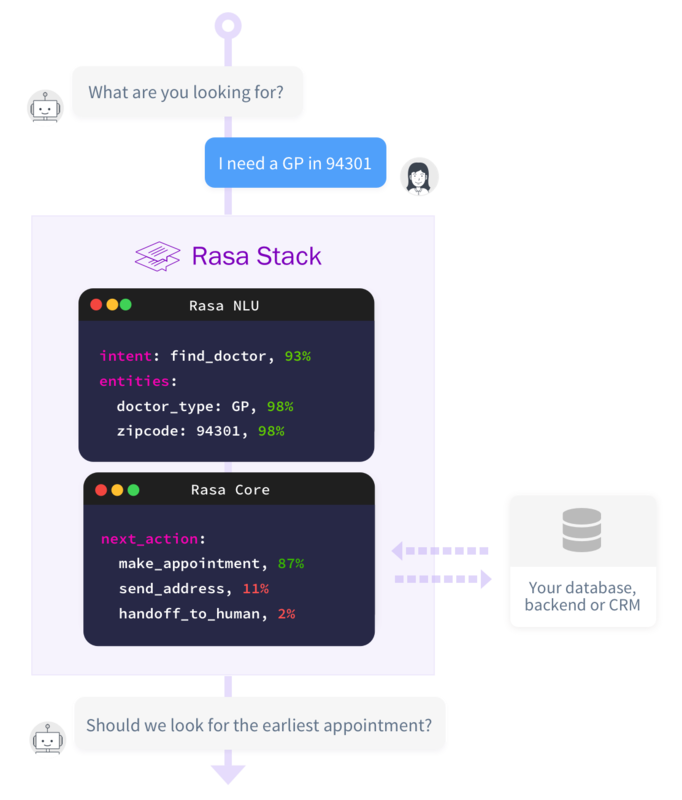 Rasa is an open source framework and is based on machine learning. It works on two main integrants – Rasa NLU and Rasa Core. The first one is natural language processing of the bot while the later one works on the inputs based on intent and entities. Node.js drive it, and the bot automates the whole flow through machine learning. ChatterBot is worked by creating a Python library and is language independent. This allows the bot to be trained in any desired language. The working mechanism of the bot is pretty direct and straightforward – the more input ChatterBot receives, it’s efficiency to process the output and accuracy also increases. It is easy to adapt for the bot, and it thus keeps on learning continuously in the process. I hope the above-listed Chatbot frameworks help you to choose one for your business. There is no perfect framework, and it all depends on the requirement so explore all of them and see what works best for you. You may also check out this online chatbot developer course to build and deploy your chatbot.